Electoral materials have been destroyed in a fire outbreak at an office of the Independent National Electoral Commission (INEC) in Qua’an Pan local government area of Plateau state. Osaretin Imajiyereobo, INEC’s head of department voter education and publicity in the state, who confirmed the incident, did not disclose when it happened. 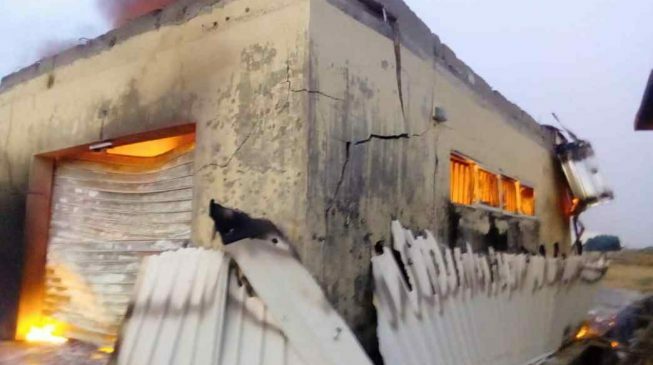 He listed permanent voters cards (PVCs), ballot boxes and voters’ register among the electoral materials burnt. Imajiyereobo said Gbadamasi Rasheed, Plateau INEC administrative secretary, is leading a team to assess the incident. The incident occurred exactly a week to the presidential election.